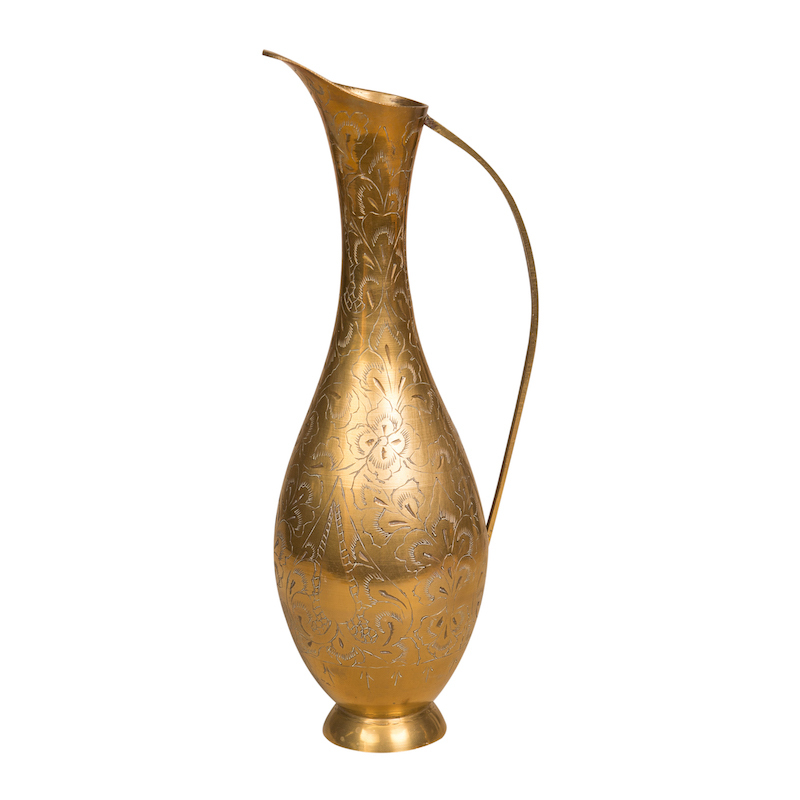 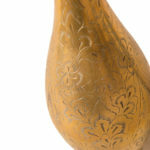 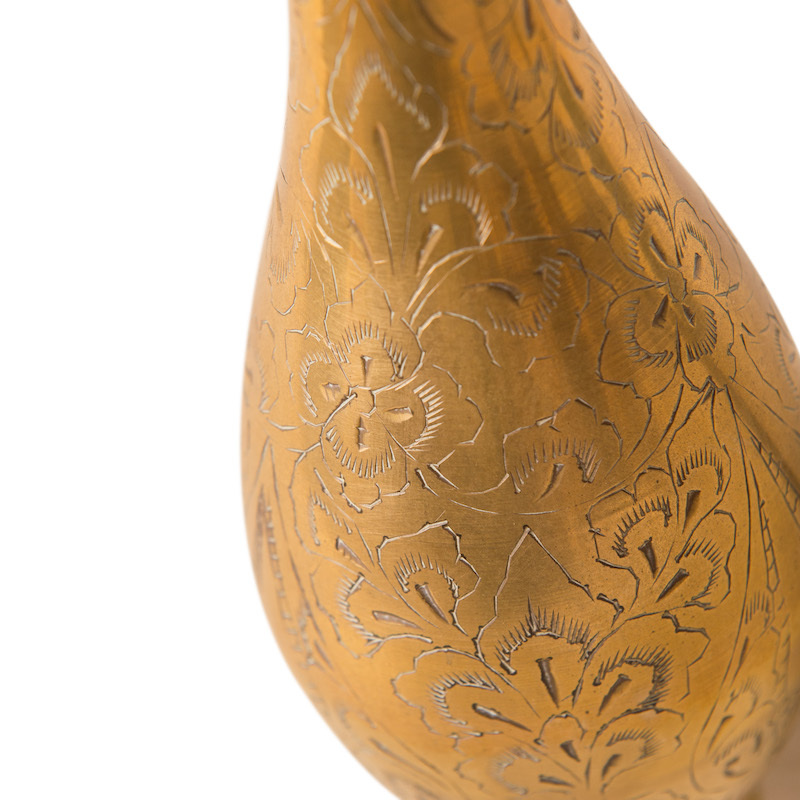 Brass pitcher with intricate carved floral details. 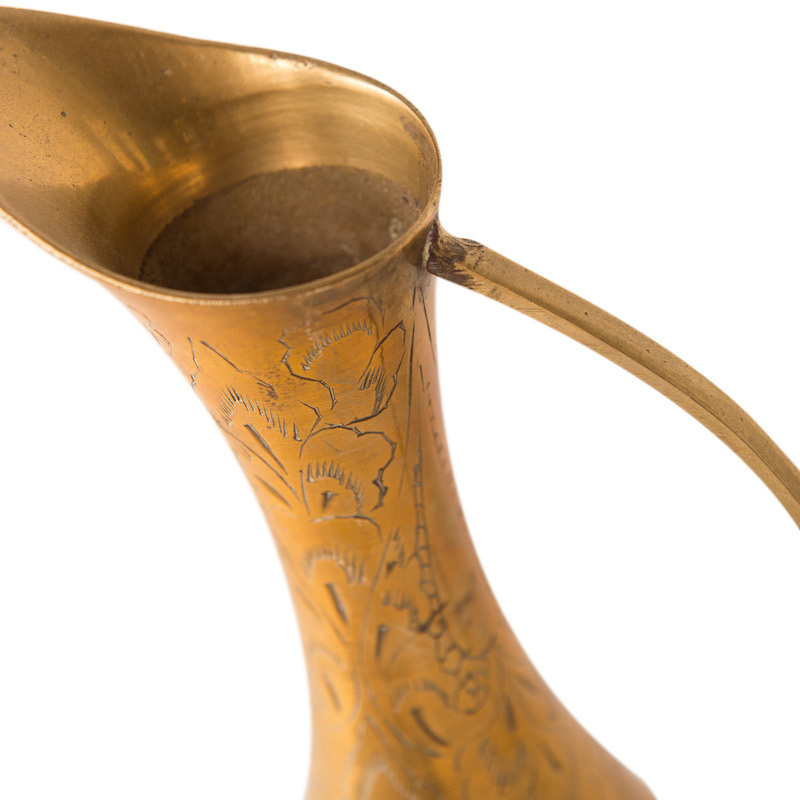 Features a handle and pouring lip. 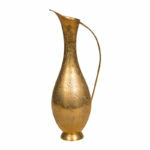 Great as a decorative piece or to hold florals.